7 healthy steel cut oats recipes that are easy to make ahead and keep in the fridge or freezer for easy breakfasts. Plus instructions on how to cook steel cut oats in the Instant Pot, slow cooker or on the stovetop. 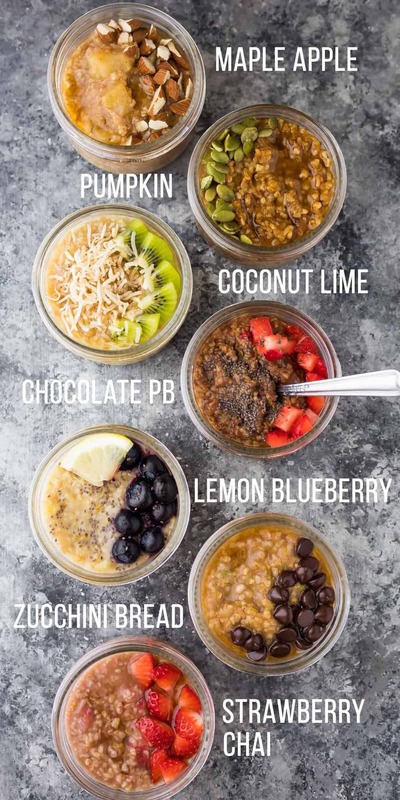 Steel cut oats are my all time favorite meal prep breakfast…they are so incredibly easy to prep ahead and re-heat through the week! And unlike rolled oats or instant oatmeal, steel cut oats don’t get mushy…they hold a nice, chewy texture which I enjoy a heck of a lot more. Today I’m sharing seven delicious steel cut oats recipes so we will never be bored with our breakfasts! This post covers a LOT, so click the links below to be taken directly to that section! Alright, friends, pictured above, you have three options to cook these oats. : the BEST way to cook steel cut oats! Completely hands-off and the oats never stick to the pot or burn. : can be finicky, depending on whether your slow cooker cooks hot or not. You may want to use a slow cooker liner, or use a water bath method. C) Stove Top: the old fashioned pot works great as well, but I will warn you that you’re going to need to keep an eye on your pot to make sure it doesn’t boil over, and near the end you need to stir frequently to prevent burning. In the fridge: I keep mine up to 4 days in the fridge, in individual portions. They firm up quite a bit, so when re-heating, I add a splash of milk, which really helps them ‘loosen up’. To re-heat, heat in 30 second increments in the microwave with a splash of milk. Heat for several minutes until thawed all the way through. Why are they called ‘steel cut’ oats? 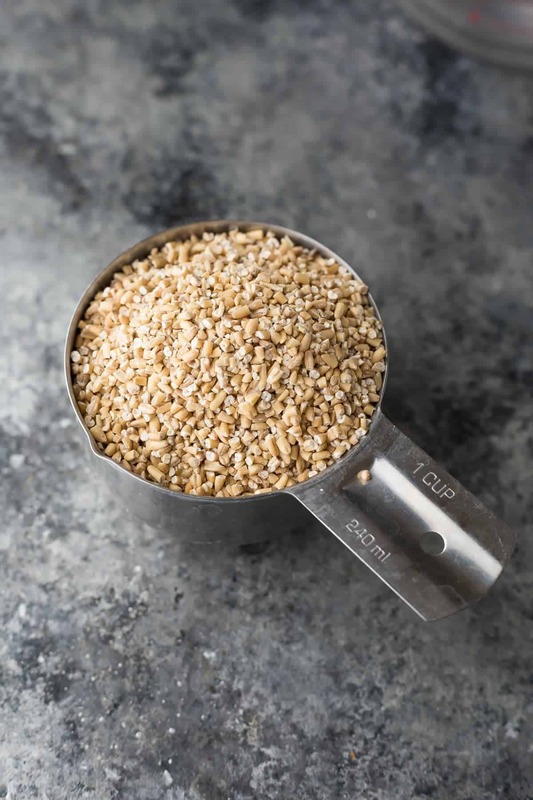 Steel cut’ refers to the way that the oats are processed: the whole oat groat has been cut into 2-3 pieces with a steel blade, whereas rolled oats have been steamed, then rolled flat. This is why steel cut oats look tubular, kind of like rice, whereas rolled oats are wider and flat. Are steel cut oats gluten free? Technically, yes, however you should seek out certified gluten-free oats to be 100% sure there aren’t any issues with cross-contamination. 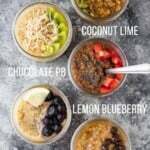 Can I use steel cut oats for overnight oats? Surprisingly, yes! Although don’t expect them to taste like overnight oats made with rolled oats, they are much chewier and more like muesli. Check out my Overnight Steel Cut Oats recipe! Can steel cut oats be frozen? YES. See above for freezing directions! Why are steel cut oats good for you? Since they are relatively unprocessed, steel cut oats retain more nutrients than the other varieties. Steel cut oats are a good source of protein, fiber and vitamins. First, the base recipe. Steel cut oats + water + maple syrup, cinnamon and vanilla. Add your maple syrup to taste, if you like it really sweet, you’re going to want more! Top with your favorite fruit, nuts, chia seeds, hemp hearts, you name it. You can totally make this recipe your own! 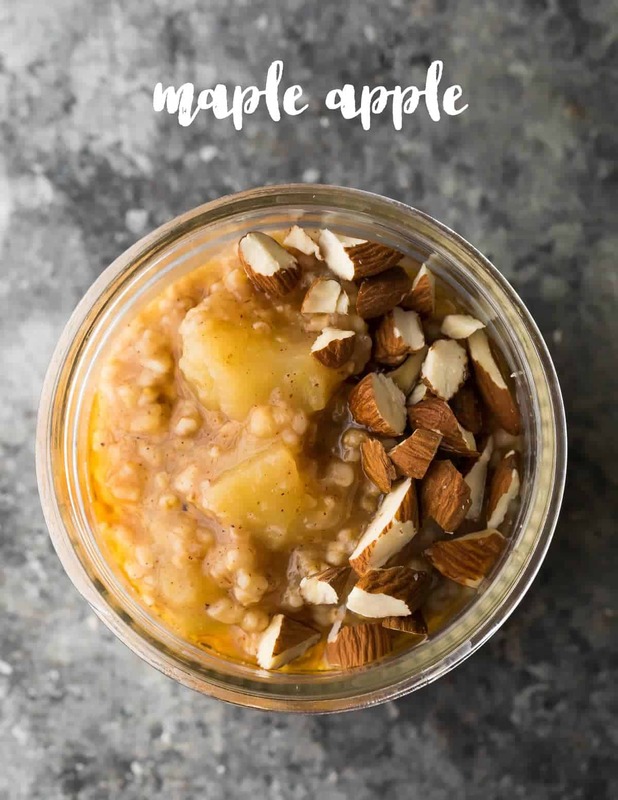 GET THE PRINTABLE MAPLE APPLE STEEL CUT OATS RECIPE HERE! If this one looks familiar, it’s because I published it back in the fall, and it was even part of our Breakfast Prep Challenge. 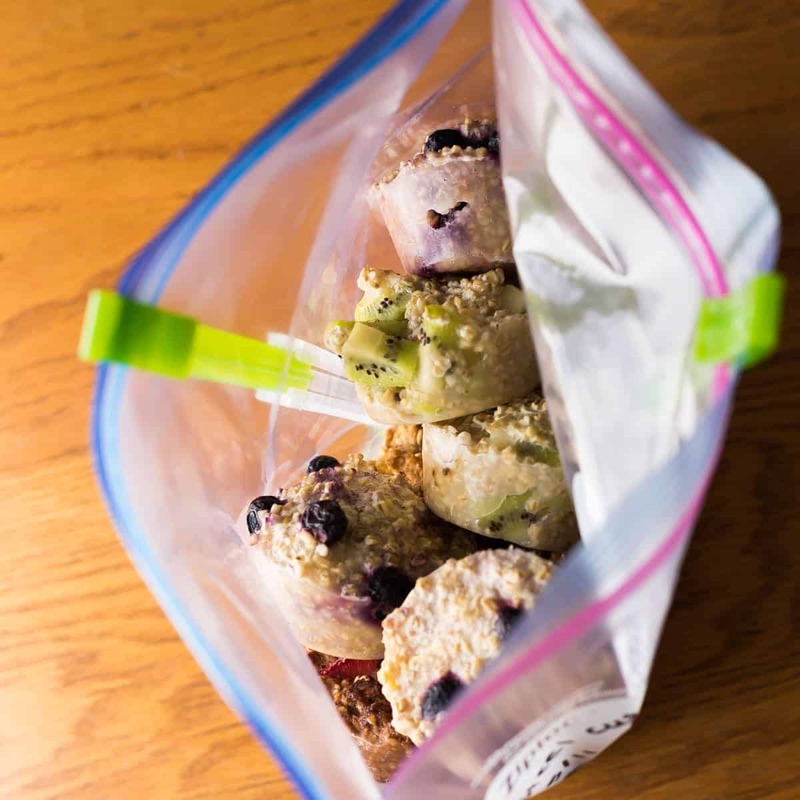 This recipe swaps one of the cups of water with unsweetened applesauce for an extra dose of apple flavor and extra creamy steel cut oats! The maple extract is optional; it adds a touch of maple flavor, but is delicious without. GET THE PRINTABLE SPICED PUMPKIN STEEL CUT OATS RECIPE HERE! Another familiar face! 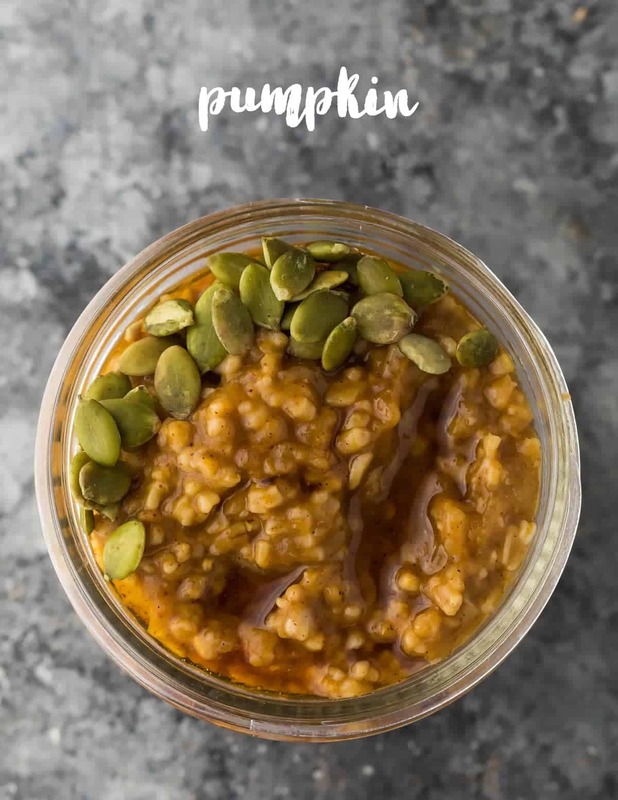 These spiced pumpkin steel cut oats were originally published back in the fall but I just couldn’t leave them out of this collection because they are oh so tasty. Pumpkin puree plus all the delicious spices you’ll find in pumpkin pie will have your kitchen smelling amazing. Add a grated or chopped apple for an extra boost of fruit. This recipe is so simple and SO tasty! I stir in the lemon zest at the very end so it doesn’t get bitter during cooking. Add chia seeds to taste, fresh for a little crunch. Perfectly light and slightly sweet, the perfect way to start your day. 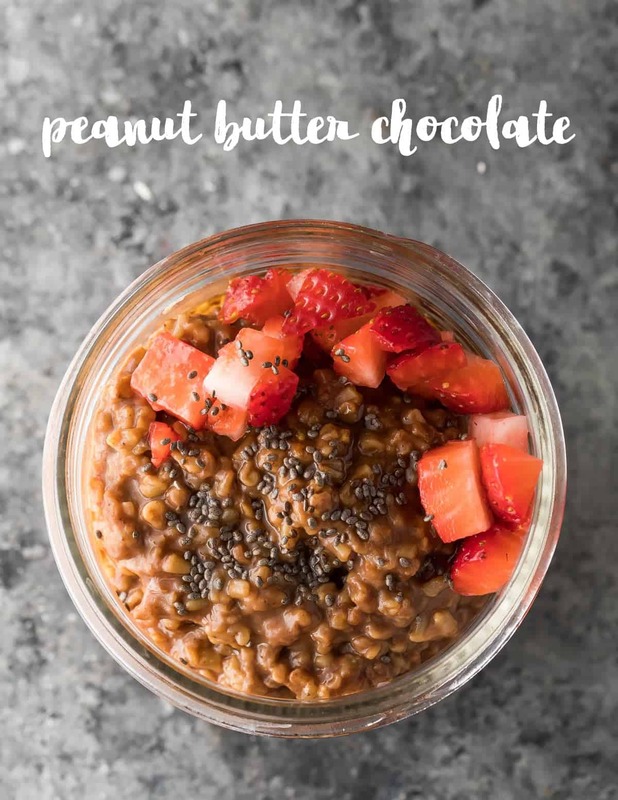 These chocolate peanut butter steel cut oats are deceptively healthy! Peanut butter gives a boost of extra protein, and you can feel free to swap it out with your favorite nut butter. 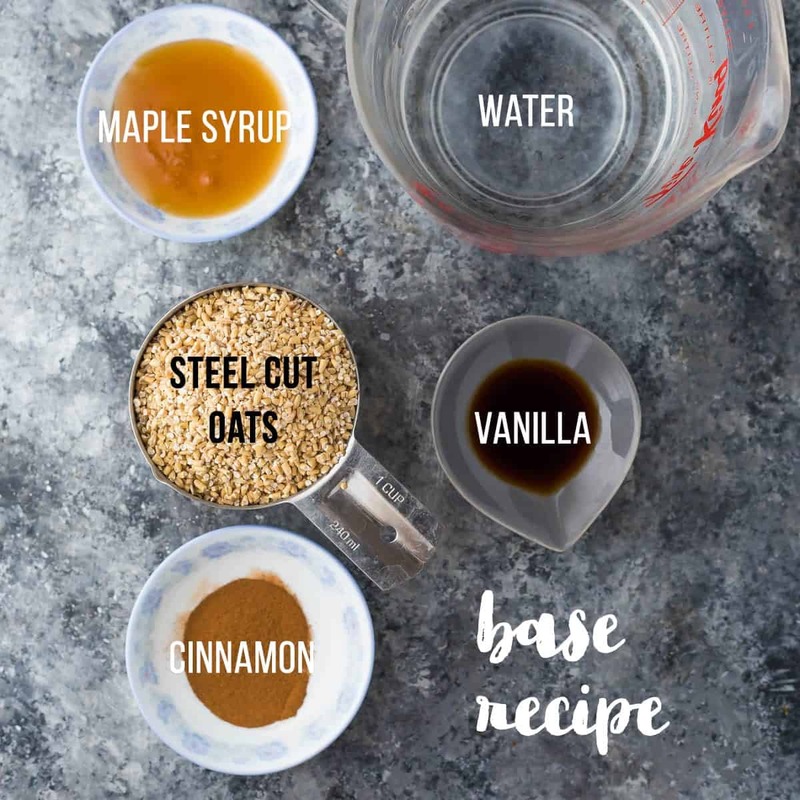 This steel cut oats recipe benefits from a little bit of extra maple syrup…adjust to your tastes. Top with raspberries, strawberries, or sliced banana. 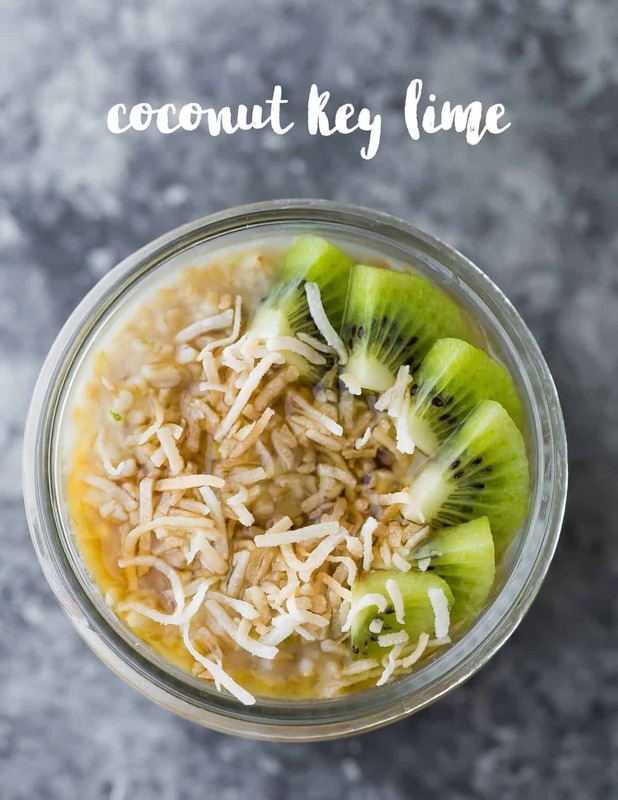 These coconut key lime steel cut oats are the best way to bring some tropical flavors to your morning! A touch of key lime zest plus some toasted coconut goes perfectly with kiwi or strawberries. If you want to add some coconut milk to the mix, try this recipe from Shutterbean, which replaces 1 cup of water with a can of coconut milk! 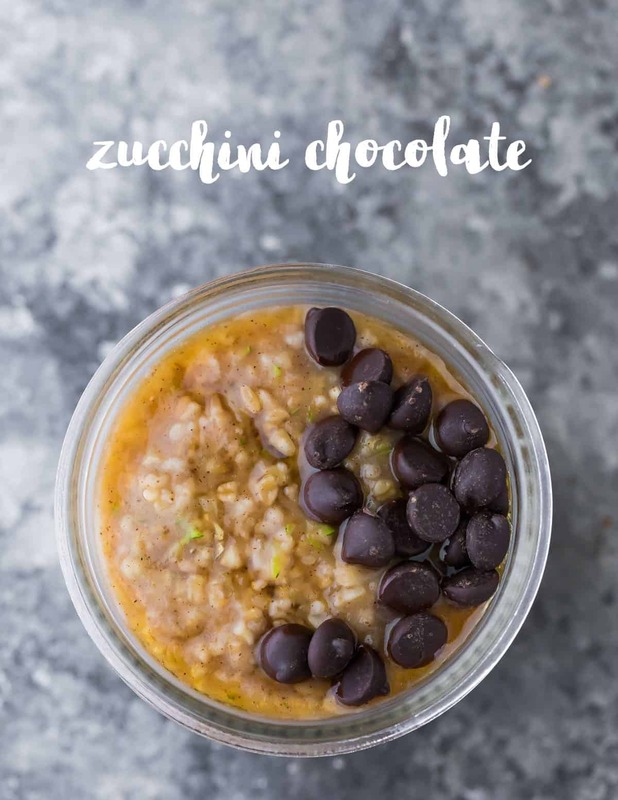 Zucchini season will soon be upon us and we will be trying to put zucchini in everything we possibly can…so why not start with your breakfast? I used 1 cup of shredded zucchini here (be sure to finely shred it), but you could push it even further! Combined with cinnamon and chocolate chips, it tastes very similar to zucchini bread. 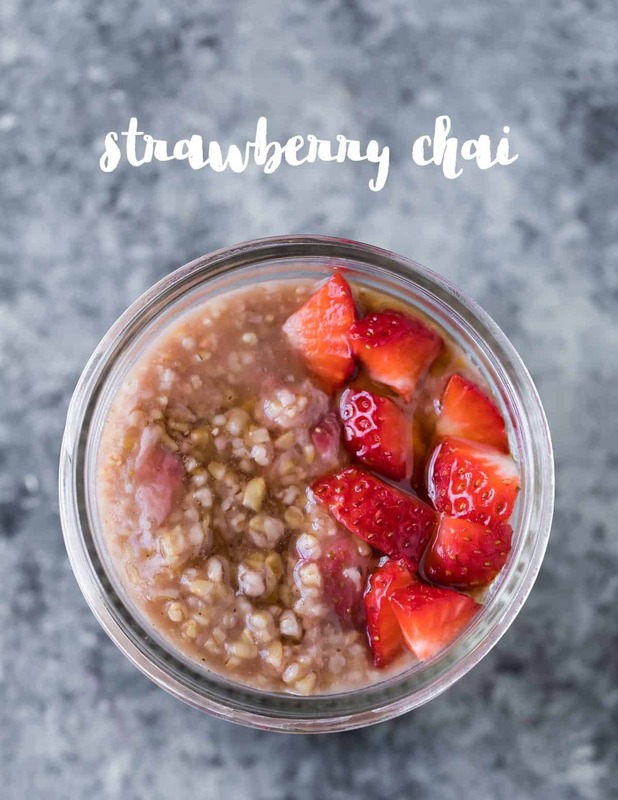 Berries & chai are an unusual but delicious flavor combination! I use this chai spice baking blend, but you can make your own! I’ve used this one in the past. 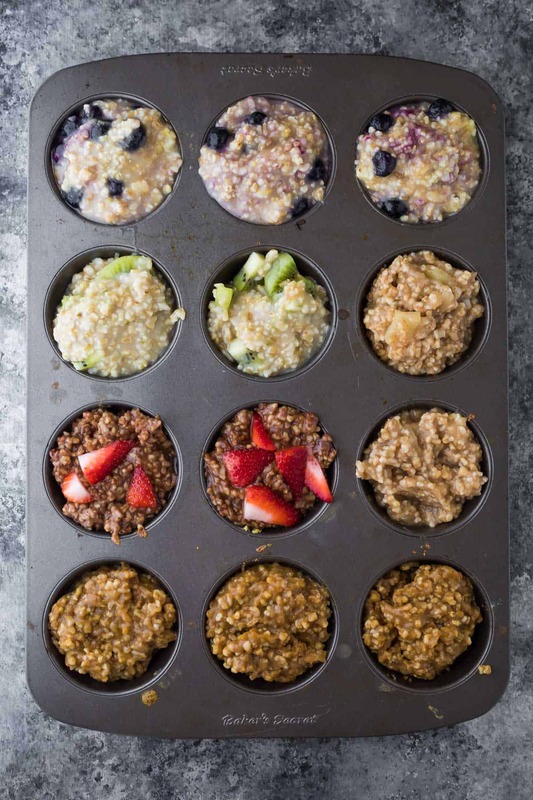 Get a free printable with all seven steel cut oats recipes here! Stir together the steel cut oats, water, and other ingredients listed. 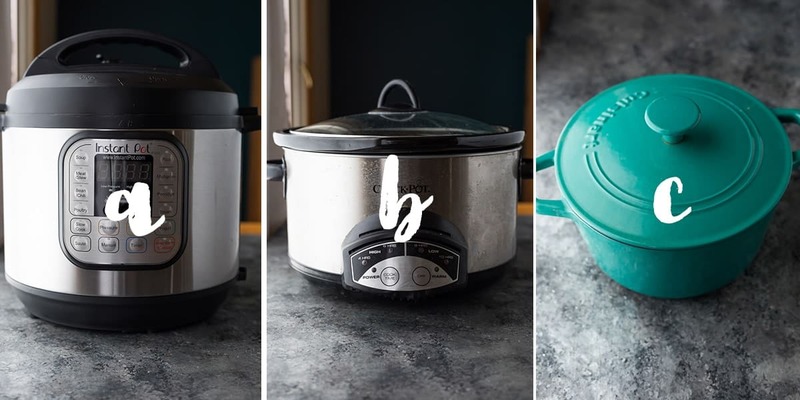 Cook on high pressure for 4 minutes, followed by natural pressure release (aka: unplug your Instant Pot) for 10 minutes (or more if you are busy). Remove lid and stir in the ingredients listed under 'after cooking'. Spray the inside of your slow cooker with cooking spray or use a slow cooker liner. Stir together the steel cut oats, water, and other ingredients listed. Stir in the ingredients listed 'after cooking'. Heat water in a medium pot until boiling. Add the steel cut oats and other ingredients listed, and bring to a boil. Reduce heat and simmer, stirring occasionally, for 25-35 minutes. Remove from heat and stir in the ingredients listed 'after cooking'. *This recipe is only for regular steel cut oats. Make sure you don't grab instant steel cut oats by accident! I use this chai spice baking blend, but you can make your own! I've used this one in the past. Would you use the same ratio if using milk instead of water? I’ve tried them all! My favorite is the lemon blueberry. Thanks for sharing! Isn’t it so much easier? I always had to babysit mine for the last 15 or so minutes on the stovetop. No more burned pot bottoms! ? I”m excited to try these flavors. Thanks so much for publishing! I couldn’t find in the notes what the “Chai spice blend” is comprised of. Please point me in the right direction to find it or let me know here. Thank you! 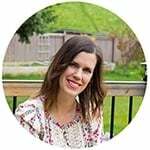 Hi Denise – Love your recipes! I noticed on the steel cut oat recipes for instant pot 7 ways that in the top directions you say IP for 10 minutes but at the bottom of the inbredients list you have directions for 4 minutes in the IP. I have made these several times using the 10 minute instructions and they turn out perfectly but thought you may want to correct the bottom instructions….don’t think 4 minutes would be enough time. Actually the easiest time saving method is a variation of C. You show a lovely les crueset pot. Add your oatmeal at night and bring it and water to a boil. Put the lid on it and turn off your burner. Time for bed. In the morning the oats are cooked perfectly. Ready to heat and go. Works every time. This method takes the least time of all. Works with a small batch or larger batch. Hi Sarah, I welcome constructive criticism, however this review helps no one. Feel free to leave a more constructive comment so that I can help you troubleshoot the recipe, but I will be deleting this one. The chocolate peanut butter version was awesome! We tried some variations: almond butter, a little Nutella, and a dollop of whipped cream on top! (I omitted the maple syrup.) I make my Instant Pot oats with one cup of soy milk and two cups of water. I’m looking forward to trying the others. I just tried this in the instant pot, following the instructions exact. It came to pressure then said burn. Now I have burnt oats ?. I must need more water. How much above the 3 cups would you suggest? Thanks in advance! I was trying to make the pumpkin recipe, btw. Hey Elizabeth! I re-tested the pumpkin recipe last week as written and I didn’t have any issues. I will change the directions to add the pumpkin puree after cooking, just to be safe. There may be differences in the consistency of the pumpkin puree that may have given you issues? That’s the only thing I can think of. Thanks for checking! Could it be that I have the 8 quart? I’m going to try again tomorrow. ? I have made them in my 8 qt and never had an issue. I’m so happy to hear this, Karen! By now you’ve probably worked this out, but I also have the 8qt IP. I love this recipe and all the versions shared. Thanks, Denise!! I found that sometimes mine burn and sometimes they don’t. This am, I set it up, went to have a shower and came back to the dreaded BURN. I salvaged them anyway, but kept them plain. Then I redid the recipe, making sure my vent was set to Sealing and instead of 3 IP “cups” I used 3 regular cups of water. They did not burn! I let them sit for 20 minutes (because I was busy) then stirred them every so often to steam the extra liquid off. Now for the blueberries and lemon zest! I just ordered the chai baking spice and cannot wait to try it! Hi Kim! You definitely need to precisely measure your liquids when it comes to cooking in the IP, I would not rely on the lines on the side of the pot. Maybe I will put a note on the recipe card…you definitely need to measure ‘regular’ cups. Sorry if the recipe was misleading. Hi Shirley, thanks for your comment. Quick steel cut oats are not the same as regular steel cut oats and these directions are not suitable for them. I will update the recipe card to be sure no one makes that mistake. I have used Quaker and other brands of steel cut oats and the 1:3 ratio for IP is the same. This recipes looks great but trying not to use the microwave. Is there another way to reheat them that would work? Hmmm I’ve only tried the microwave. I suppose you could heat them in a small pot with some almond milk? Steel cut oats are my new favourite breakfast, and the variety of recipes here are just great. The maple apple, pumpkin, and coconut lime are my favourites. Do you have a nice print out of all these recipes like you do the Turkey Meatballs 7 ways? I was trying to print and it only came out with the base recipe. Thanks! Hi Katie, not yet, but it’s on my ‘to do’ list! I’ve used a covered double-boiler to make steel-cut oats for years. I boil enough extra water for the recipe, add it to the oats, cover it and leave it untended on low heat whilst I drink my coffee in front of the computer. Dried cranberries and apricots make a good addition along with raisins. Today I’m going to try it in the Instant Pot. I hope you like the IP method, Paula! Wow! The steel-cut oats were fabulous; the texture had significantly more body than with my old method..
does the nutritional include the two tablespoons of maple syrup added at the end of recipe? some of us need to watch our sugars so we’ll be having sugar-free syrup thank you ? The key to oats in the slow-cooker is a water bath. Spray a smaller container, set it up on a small trivet, then put the oatmeal ingredients in the container. Fill the rest of the crockpot with water, then let it cook. Perfect oats, and easy cleanup. Great tip! I might have to try that 🙂 Thanks, Carrie! This is great, thanks for the recipes! How did you bake them so they are solid enough to stay in the muffin pans? Hi Stephanie! Sorry for the confusion, they weren’t baked in the muffin tins, they were frozen in them 🙂 I’ve only cooked these in the crock pot, stove top or Instant Pot. Thanks for the recipes! Have you tried using a delayed timer? Hi Denise these look great! I have a family of 5. If I triple or quadruple (3 growing boys!) the recipe to serve some now and freeze the rest for later, is the cooking time in the IP the same? Thank you! That’s a very good question, Ellen! I adapted my recipe from this post on The Kitchn, and the max volume that they cook is 5 servings. I would be cautious increasing the serving size because steel cut oats can foam up and this could be a risk of blocking the release valve. Using the slow cooker might be a better option for cooking a big batch? I hope this helps! I think I can at least double it, the link says not to fill it more than halfway, I’ll give it a try! So far I made zucchini and apple and both have been delicious! Good luck, Ellen! Let me know how it goes 🙂 Glad you enjoyed the oat flavors so far! Hi………..we decided to go Vegan at age 64 & 58. I hope you enjoy the steel cut oats! Wow! 😀 All of them look delicious! I can’t wait to try them! Thanks so much, Carla! I hope the freezer trick helps you! 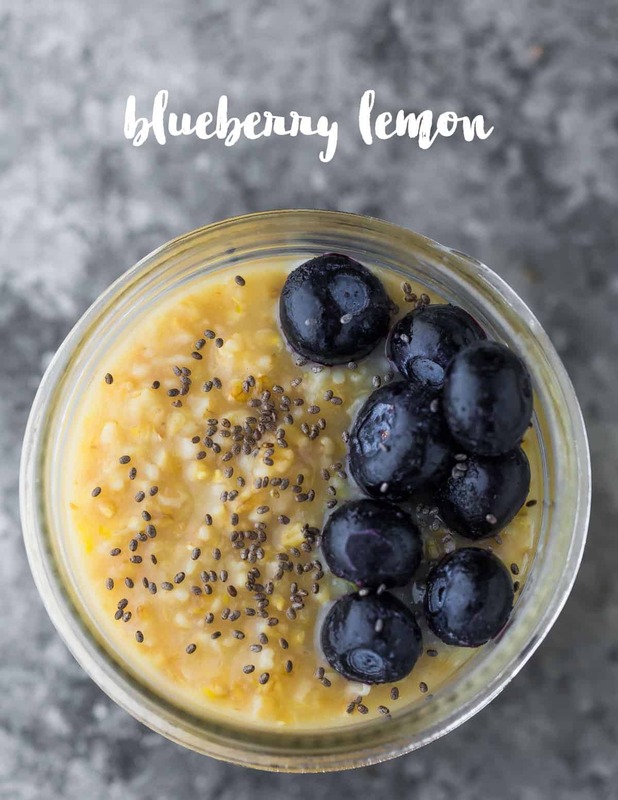 I’m in love with steel cut oats and am going to try this very soon — so many wonderful flavors! The slow cooker really can be tricky and they can burn so easily. I can’t stand cleaning it afterward either (thank you for the shout out on the slow cooker oats!). This is making me want to run out and buy that Instant pot that I’ve been putting off too. This is such a thorough post — great job Denise!